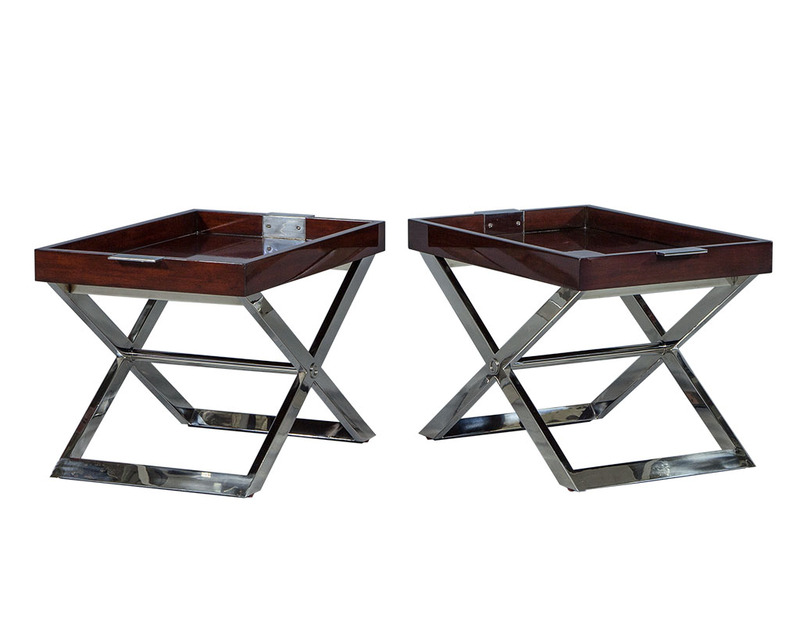 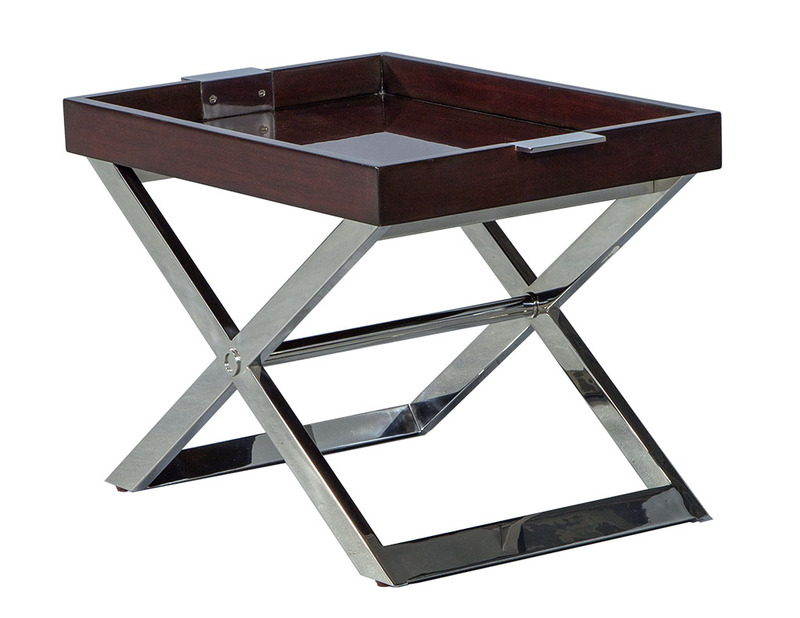 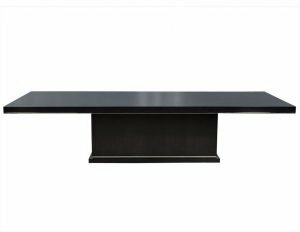 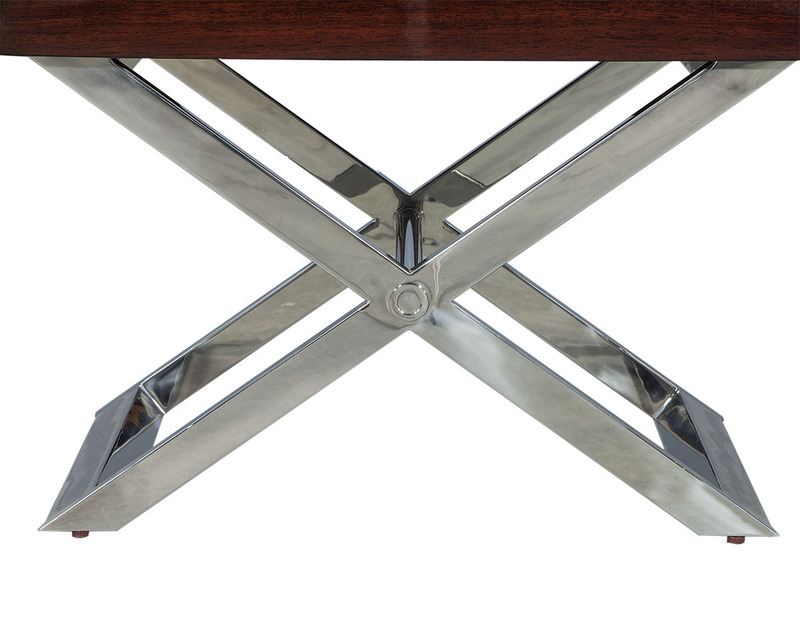 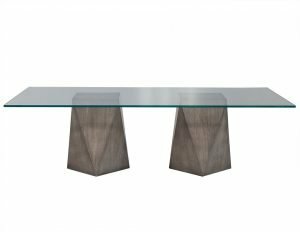 These transitional style tray tables are utterly chic. 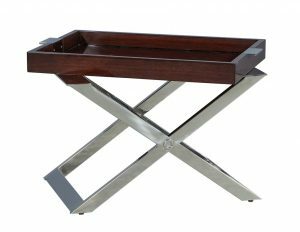 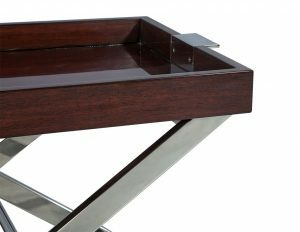 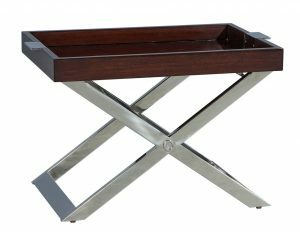 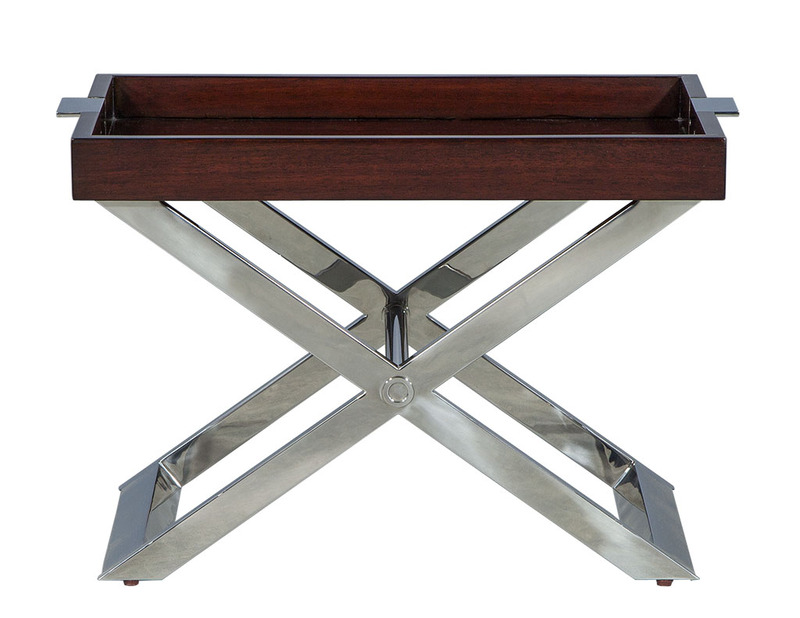 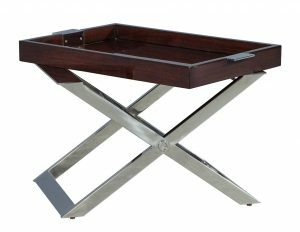 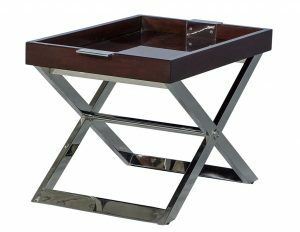 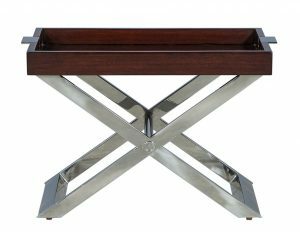 With removable rosewood serving tray tops and a stainless steel x-base it is a perfect blend of functionality and beauty. The tray handles are finished in dark cherry, adding a last pop of contrast to the piece. 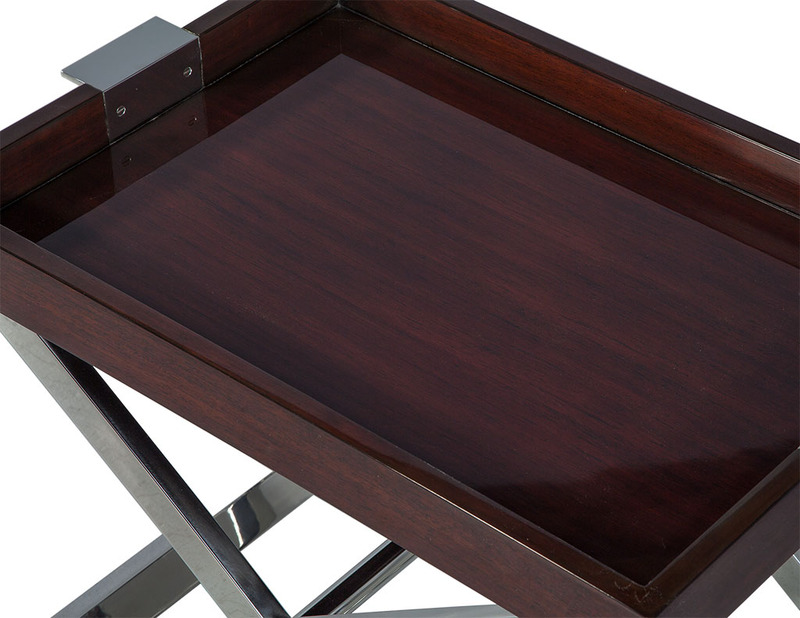 A lovely addition to your busy interior.